In his call to us to seek justice for victims of violent oppression, God offers a rugged challenge – a task that requires the great energy stored in the global church. While no two churches are the same, IJM has found that this justice journey usually involves three phases – Educate, Explore and Engage. 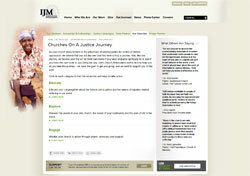 Click on the image to go to the Churches on a Justice Journey page at IJM. You can also download a copy of their Handbook for Pastors and Other Christian Leaders. IJM Student Ministries has resources to help you and/or your students learn how to become involved in the work of justice. They have specific resources for College/Grad Students, Youth/Teens, and Children. 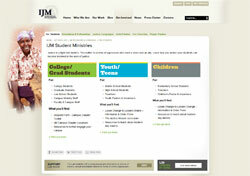 Click on the image to go to the IJM Student Ministries page. The Underground Church Network (UCN) was created in the belief that people of faith have a special role to play when it comes to the work of abolition: freeing slaves and creating a world where survivors can thrive. They will assist you to grow a thriving abolitionist program in your backyard by providing platforms for active engagement. The UCN challenges followers of Christ to Live Differently by faithfully engaging in the work of modern-day abolition. We must stand and walk with the 27 million enslaved. It is time to combat human trafficking in our backyards and around the globe. 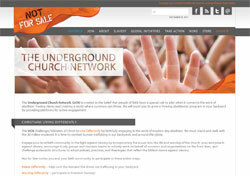 Click on the image to go to the Underground Church Network and learn more.